While we were all busy with Megadeth tickets this morning, DME & Invictus Promotions went ahead and made a sneaky announcement. Yes folks, Tribulation are coming! 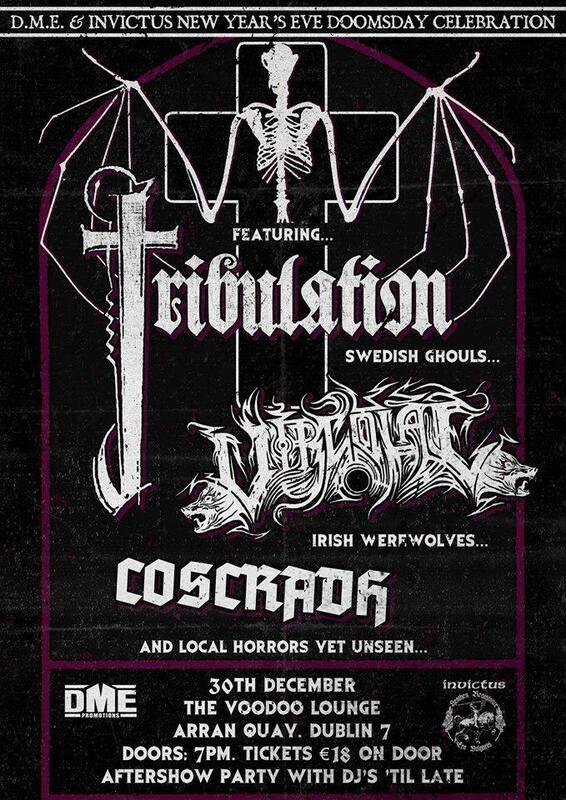 With them on the night will be local death metal lads – Vircolac and new comers, Coscradh to play a special New Year’s show on Wednesday, December 30th at the Voodoo Lounge. 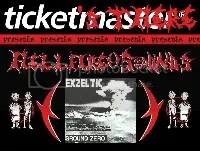 Tickets will be on sale on the door (no pre-sale) priced €18. There’ll also be an afterparty with DJ’s. 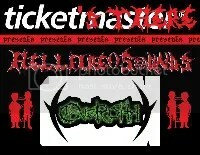 MEGADETH / LAMB OF GOD Tickets on sale tomorrow! Irish metal fans are all still grinning from the news that Megadeth are returning to our shores for what’s promised to be the metal event of the year! 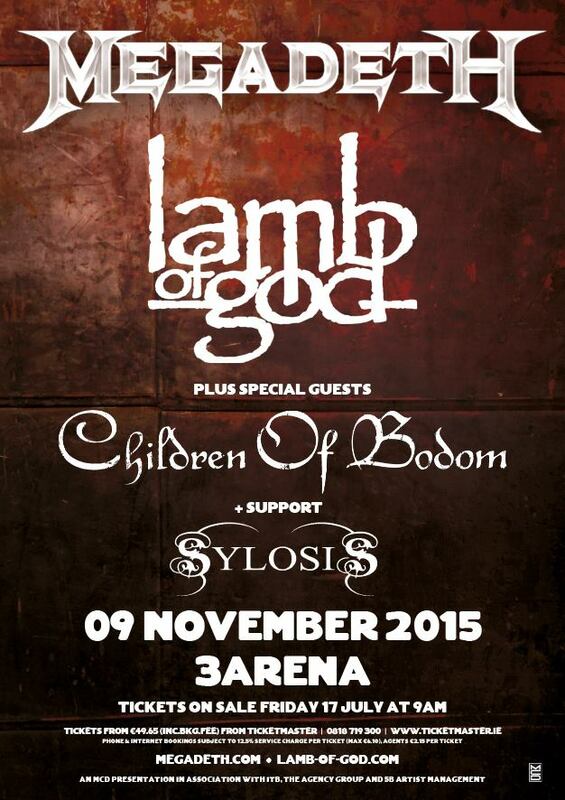 Not only will the thrash icons return to headlining form in Dublin’s largest arena, they’ll be playing with co-headliners, Lamb of God, as well as Children of Bodom and Sylosis. It all happens on November 9th at the 3 Arena (the arena formally known as the O2and tickets will be on-sale tomorrow morning @09:00 from Ticketmaster outlets nation-wide priced €49.50 plus booking fees. Also, yes – Tickets There have been purchasing papers with ads for the show to add to the scrapbook – and yes, I do have a life. The life just happens to involve an unhealthy obsession with Megadeth and metal! Megadeth are due to release a new album this year so please expect several months of ….’mega-excitement’…. sorry, I haven’t been practicing. MEGADETH ARE COMING 😀 2015 – epic. Time to get majorly excited as the mighty DEF LEPPARD have announced they are returning to Ireland this December. 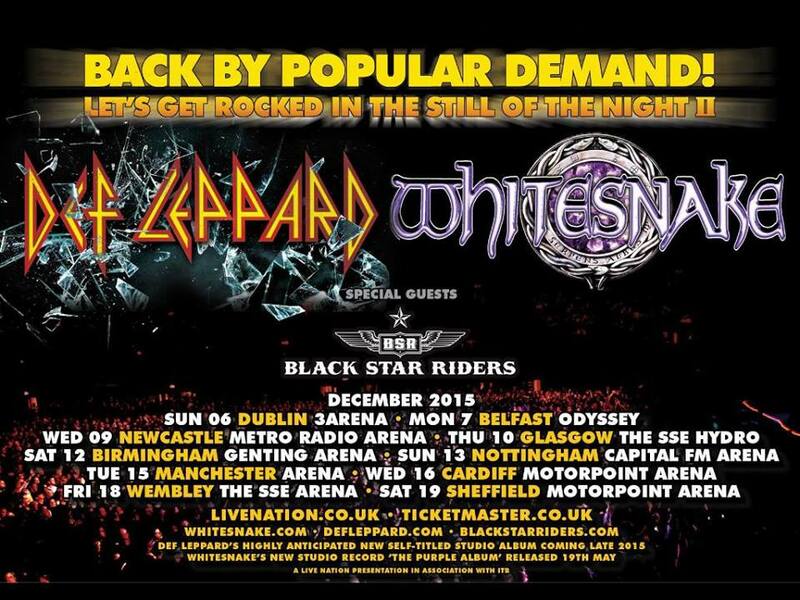 The Lepps will be joined by their ultimate touring partners, Whitesnake and will kick off a ten date IRE & UK arena tour in Dublin’s 3Arena on December 6th, followed by Belfast’s Odyssey arena on the 7th. 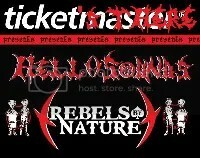 Support will come from Black Star Riders. This is without a doubt the most exciting news old Tickets There has gotten in quite some time. Expect a lot of updates. LEPPARD!!!!! Tickets go on sale 10:00 am, April 1st with the pre-sale starting on the 30th. Dublin tickets will range between €59.50 – €64.50 while Belfast tickets are all priced £49.50. 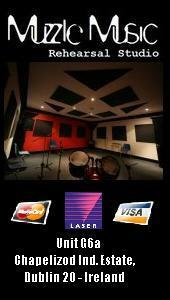 Prices do not include booking fees. Happy ASH Wednesday indeed as the northern pop/rock legends have announced plans for their eagerly awaited new album and some very intimate tour dates for Ireland. The band’s new album, KABLAMMO! is going to hit shelves on June 8th but you don’t have to wait that long to get a taste as the lads have just dropped their first single in agggessss for streaming. Scroll below to hear Cocoon. This will be the band’s first standard album since 2007’s Twilight of Innocents. 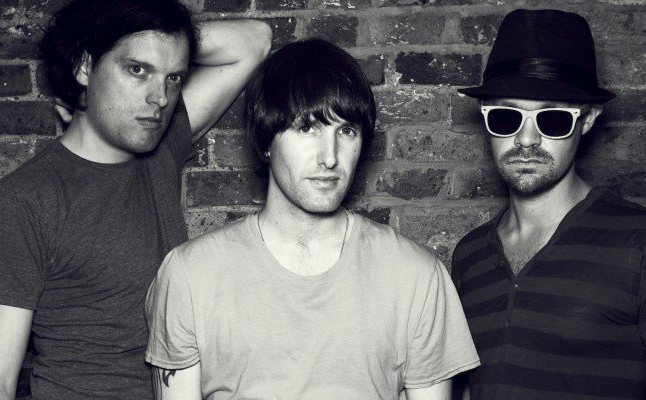 After it’s release the band announced they’d be moving to releasing material on single format only before releasing their ‘A-Z’ series throughout 2009 and 2010. Also, the lads have announced a UK and Eire tour. 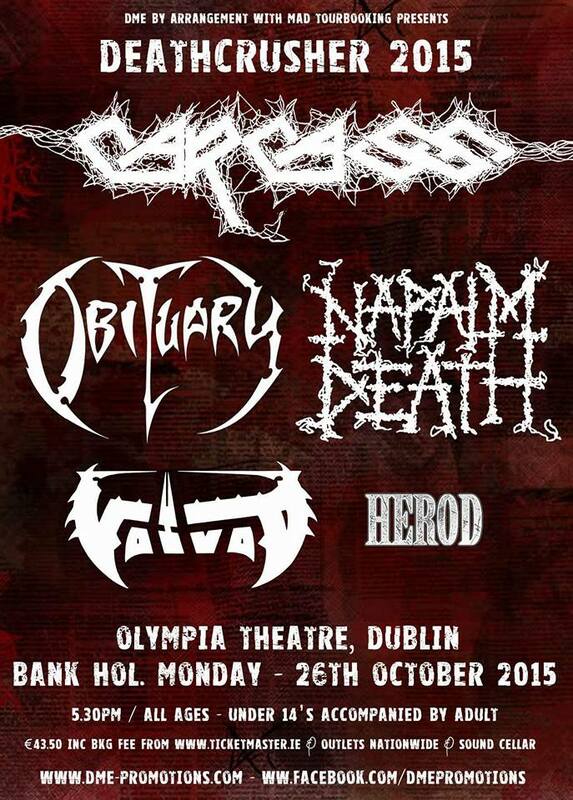 Tickets go on sale this Friday for the dates with the Irish ones being priced around €20. What will you be doing on March 20th? Simple, you’re going to see VADER in the Voodoo Lounge. 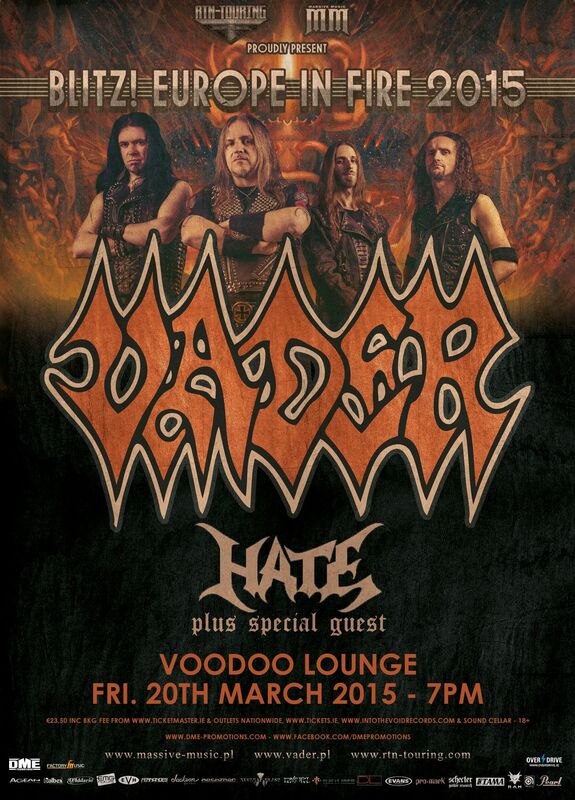 The death metal legends will be swinging by Eire and playing Dublin’s Voodoo Lounge as part of their Blitz! Europe In Fire 2015 tour. 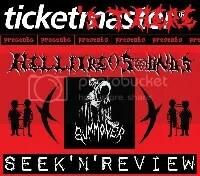 They’re bringing HATE and one more band TBC with them. Hopefully the TBC will be announced as one of our own home grown, but we’ll see. Tickets go on sale Wed, Jan 28th priced €23.50 inc. fees from ticketmaster and all usual outlets. All hail the mighty Vader! Visit the official event page for more details. 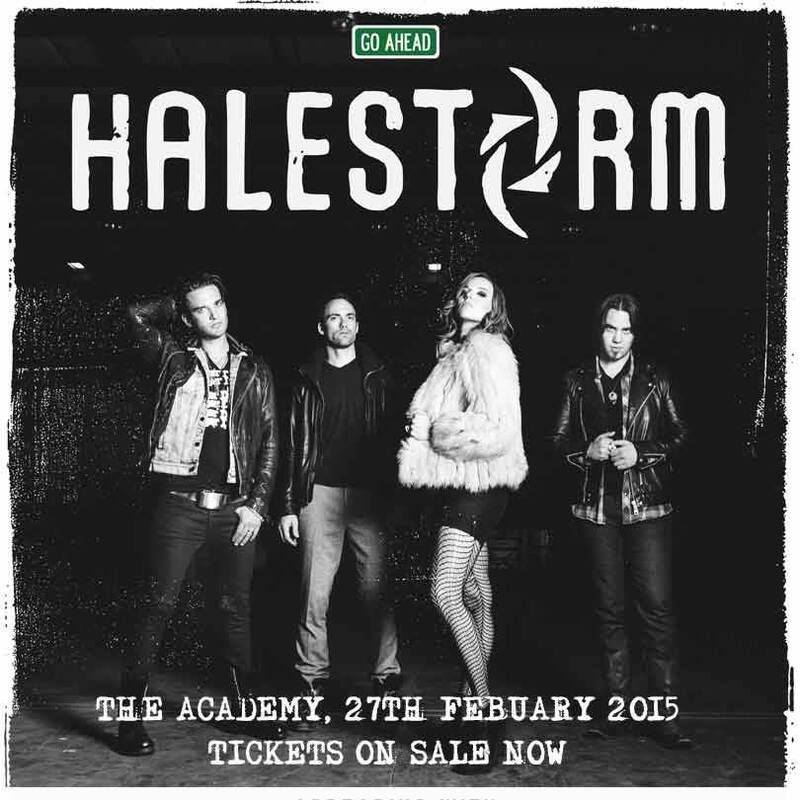 Pennsylvanian firecrackers HALESTORM are excited to announce a headline show at The Academy for 27th February. Having toured steadily for years with acts as diverse as Shinedown, Stone Sour, Disturbed, Megadeth, Papa Roach, Godsmack and countless others. Halestorm will head on the tour early next year for their own show. With two albums under their belt, we can expect to hear some new tunes on the road as Halestorm have been busy in the studio working on their next album release, due out spring 2015. More album details will be revealed shortly but meanwhile, fans can get a taste via some special in-studio clips at: https://www.youtube.com/user/HalestormRocks.